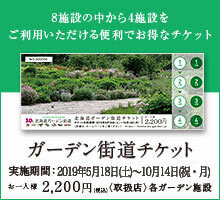 We received the following application for "2014 Garden Treasure Hunt" from September 1 to October 1 9 until 8 9. November 2 Day 1 was a severe election, the following people were elected. We have shipped prizes on November 30th.